Bella Mare Hotel smells like the authentic Greek summer and feels like a dream home with soul. The story behind this Kassiopi hotel is a story full of carefree summertime moments in Greece. Once upon a time, Bella Mare Hotel used to be the summer residence that hosted the most precious holiday memories of its owners, well-kept in their minds until now. Back in the ’60s, two sisters bought the residence and for years, this Corfu villa was the protagonist of childhood endless summers in Corfu for the two families, where life was all about swimming, playing and giggling. As the years went by, the children of the ‘60s grew up and decided to turn their dream summer home into Bella Mare Hotel, sharing their love and passion about true, authentic hospitality. 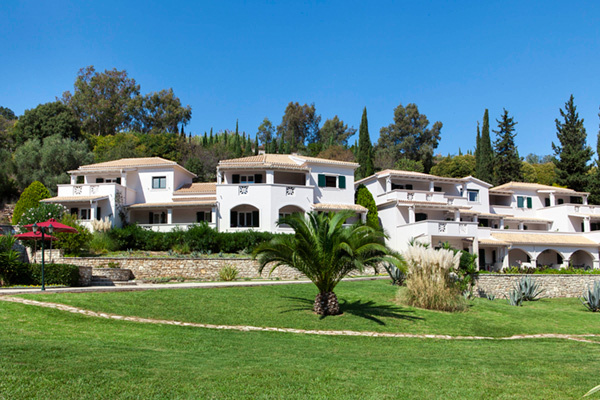 Their love for the residence urged them to upgrade the Corfu villa and turn it into a four stars hotel in Corfu that offers guest home-away-from-home Greek hospitality combined with the necessary touch of luxury, comfort and high quality hotel services.